Well Read | Why Not Me? I would consider myself a fan of Mindy Kaling. I was a fan of Mindy Kaling’s first book, Why is Everyone Hanging Out Without Me? (And Other Concerns), I tune in to The Mindy Project pretty regularly, and I was so happy when Hulu saved it. I also love her work on The Office. 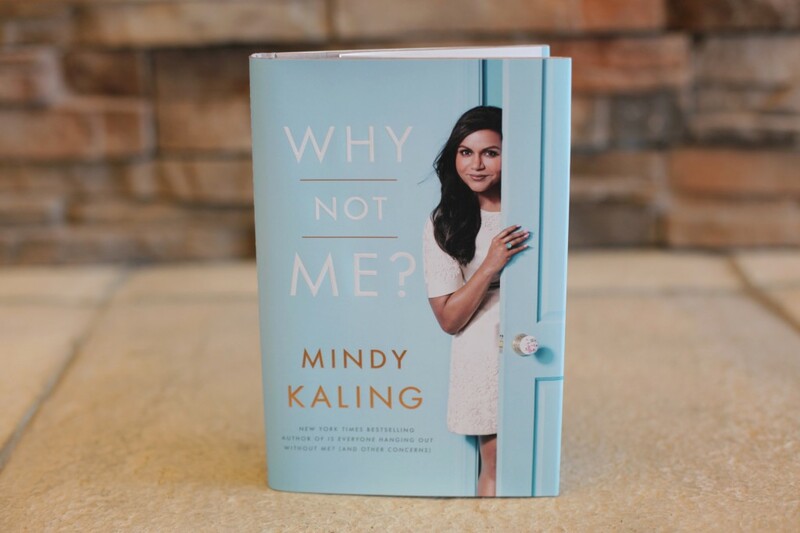 Overall I would say I prefer Kaling’s first book to Why Not Me?, there are definitely chapters of her second bestseller that stood out more than her first did to me. The chapter describing her unique relationship with fellow actor, B.J. Novak and a dangerous and intense situation they faced together really had me hanging on the edge of my seat. I found the sweet way she described their special friendship to be honest, complex, and beautiful. In all fairness, I do feel like I’m currently a bit burnt out on books by comedians so I feel like I judged this book more harshly than I may have six months ago. However, I’m compelled to admit that it read like a less interesting version of her first book. I’m still a fan of Mindy and I’m hoping she knocks it out of the park with her next book.